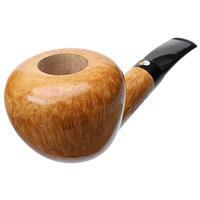 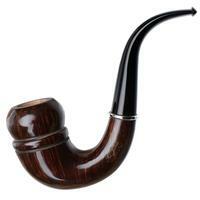 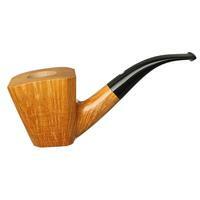 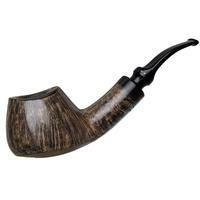 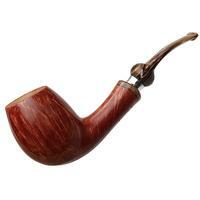 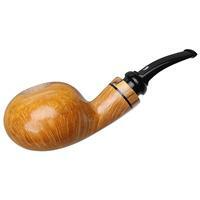 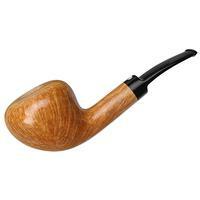 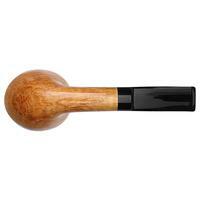 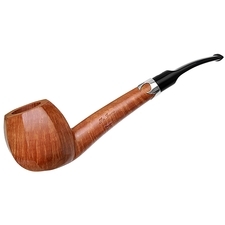 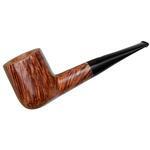 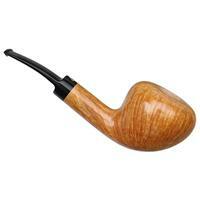 An Acorn-esque Dublin, this Claudio Cavicchi piece is plump and softly-rounded, particularly at the rim, with a smooth taper to base, and gentle bend to its shank and stem. 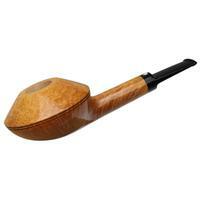 The result is a piece that slides into the hand with ease, leaving plenty of space behind the bowl to rest one's finger, without compromising anything on grain. 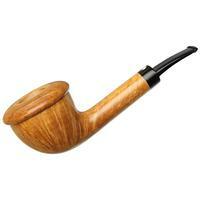 In fact, with four "C" stamps and the honey-blonde stain to match, the grain on this piece is beautifully rendered.